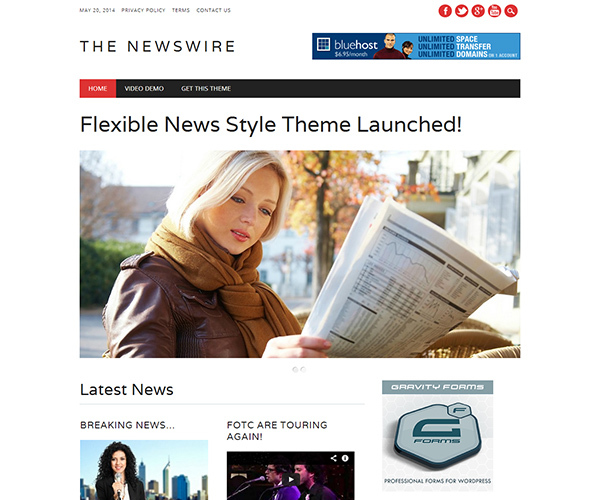 The Newswire WordPress Theme is design for local news sites and blogs. Taking a lead from popular news sites like the HuffPo it has a huge home page slider showing the latest posts (or sticky posts if you prefer). The customize options also let you upload your own logo, change fonts, colors and background without any custom coding. 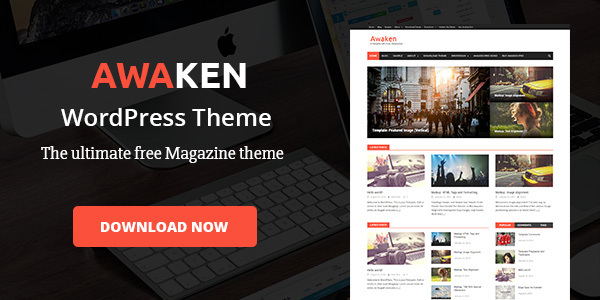 The theme has two customizable menus and you can even add banner code to the header and sidebar from the customize menu. Of course it is fully responsive so works great on mobiles, tablets and desktops.